An apparent close call involving an Alaska-bound fuel barge in Canadian waters has renewed concern about petroleum shipments through the Inside Passage. Provincial authorities in British Columbia reported a barge laden with at least a million gallons of diesel and gasoline detached Sunday from its tug in stormy seas. Canadian Navy Lt. Melissa Kai of the Joint Rescue Co-ordination Center in Victoria said the next morning that a second tug had regained control of the 430-foot barge. Officials did not report any damage or spill from the vessel, identified as the Zidell Marine 277. It wasn’t immediately clear Monday afternoon which Alaska port it was bound for or where it’s being towed. Messages left with the company weren’t immediately returned and rescue officials wouldn’t say. But the incident comes little more than a year after a similar mishap involving a fuel barge servicing Alaska ports. That earlier incident involved the tug Nathan E. Stewart, which ran aground 13 months ago while towing a mostly empty fuel barge from Ketchikan. It spilled at least 26,000 gallons of diesel near Bella Bella, a community of about 1,600. Slett says, at the very least, her community should be equipped with its own spill response gear. 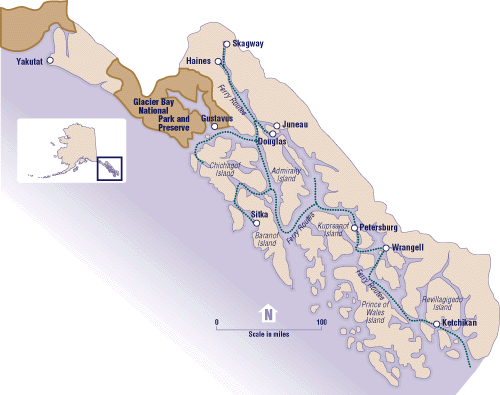 The Canadian portion of the the Inside Passage is a voluntary exclusion area for larger oil tankers. But the route is popular with smaller U.S. and Canadian-flagged fuel barges that are routinely granted an exemption from having a Canadian pilot on board to guide them. There’s legislation pending in Ottawa that could toughen shipping restrictions in the area. But under the current draft, fuel barges such as those that serve Alaska ports, would remain exempt.